Small And Light, Easy To Take Away. Output: DC 5.0V-1A. Color: random colours sent. - iPhone 5, 6, 5S, 5C, 6S, 6S Plus, 7, 7 Plus, SE. 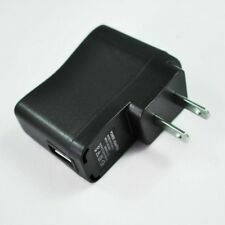 2 Pin EU Plug. Easy to Carry. Colour : White. Model: RM0120. 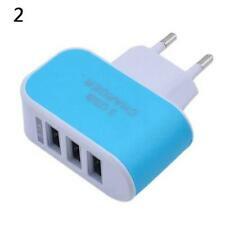 2 Pin USB Euro Plug Travel Charging Adapter For iPhones Samsung Huawei White . Dispatched with Royal Mail 2nd Class Large Letter. Genuine BlackBerry Universal. Genuine BlackBerry Product. Standard USB jack (type A). 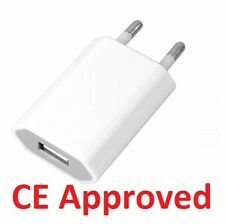 Apple EU 2 Pin USB European Plug for iPhone iPod iPad . Condition is New. Dispatched with Royal Mail 2nd Class Large Letter. UK Plug type. 2 Amp charging power for ultra-fast charging. Output: DC 5.0V - 2.0 Amp. It will convert the power to 1.5 amp to work universally on any electronic device. Features: 4 USB power ports charge up to 4 mobile devices simultaneously through just one wall socket. Support smart charging, Max output up to 4A, built-in auto detect technology, which can automatically identify all kinds brand mobile phone / tablet, provide and output the best and fastest charging current. Phone can be used during charging. Lightweight and easy to carry. Green indicator light shows the charging status conveniently. Experience faster charging speeds than ever before with Samsung Adaptive Fast Charging. No more hanging about, just super quick charging. UK three pin region. 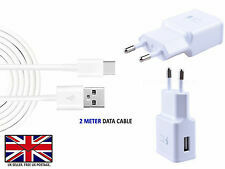 Micro USB Data Cable - ECB-DU4WE. Samsung Galaxy S7. 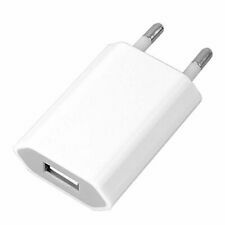 Apple Wall Charger A1265 for iPhone iPod iPad. Condition is Used. Dispatched with Royal Mail 1st Class Large Letter. 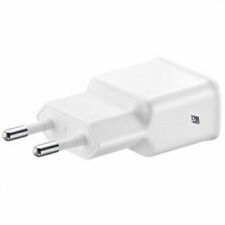 Samsung Original Black European EU- USB Phone Fast Charger Adaptor Plug 2 Pin. Fits the following Samsung devices. Samsung Galaxy A3 (2017 - SM-A320F). Samsung Galaxy A5 (2017 - SM-A520F). Samsung Galaxy A7 (2017 - SM-A720F). Samsung Galaxy S8 (SM-G950 / SM-G950F). Samsung Galaxy S8 Plus (SM-G955 / SM-G955F ).